Hell hath no fury like a woman who hasn't gotten enough sleep: We're irritable, we're cranky, and unless we've ingested a fair amount of caffeine, you're better off keeping your distance. That's why getting the recommended eight hours (or more) is so crucial every night, not just for the safety of others but to help repair our skin, keep off excess weight, and be overall better-functioning human beings. As integral as sleep is to our health, it's a shame that many of us have a hard time actually venturing into Sleepville. Insomnia, racing thoughts, and other sleep-inhibiting factors are all too common, and we need help. Cue the music—no, really. Studies show that listening to music before falling asleep can help improve sleep quality, extend sleep duration, and reduce sleep disturbance. The reasoning? Trouble falling asleep is often attributed to stress and anxiety keeping the mind awake, and thus, music acts a distraction and means of relaxation. 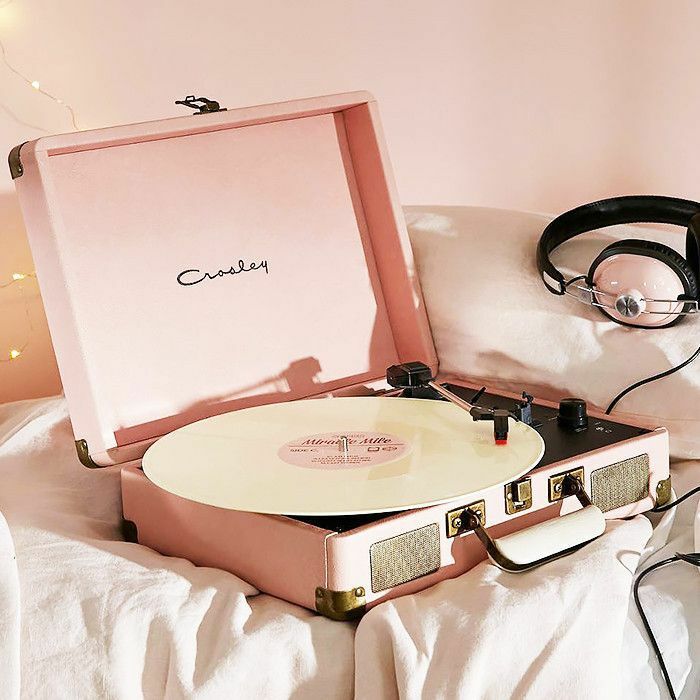 As we're sure you're aware, hip-hop and upbeat pop songs aren't exactly lullabies—instead, studies have tested the efficacy of calming music like classical tunes, finding a direct correlation between the genre and sleep quality. In a 2006 study, students who demonstrated trouble falling asleep were split into three groups, each of which listened to a specific sound for 45 minutes: classical music, audio books, and a control group. The latter two didn't show any signs of change in their sleep, but the group that listened to classical music saw significant increases in their ability to fall (and stay) asleep. Your sleep track doesn't have to be Beethoven or Bach, though. Experts suggest choosing songs that are "sedative" in nature, meaning the tempo is between 60 to 80 beats per minute (check SongBPM.com to find out if your song of choice fits these requirements). In fact, in a poll conducted by Spotify, Ed Sheeran's "Thinking Out Loud" (among several other songs by the crooner) was the most-streamed song among 2.8 million sleep playlists. Songs by Sam Smith, such as "Lay Me Down" and "I'm Not the Only One" also peppered the top-20 list. If you're not a fan of classical music (or Ed Sheeran or Sam Smith), you can certainly choose your own tunes to listen to. Some experts even suggest that subjects who use music that is most enjoyable and familiar to them will yield better results and improve the effects of sleep quality. If the music alone still doesn't seem to help you, try combining the soothing music with relaxation techniques—researchers have found that pairing sedative music with techniques such as progressive muscle relaxation (or the most popular sleep tip on Byrdie: this simple breathing trick) have helped individuals who need an extra push to fall asleep faster. Keep scrolling for some sleep-inducing tunes below. Don't want to disturb your partner (or your roommate) while you listen to your sleep soundtrack? Try these comfortable Bedphones Sleep Headphones ($60) to drift off peacefully. Up next, check out the most common sleep mistakes women make.